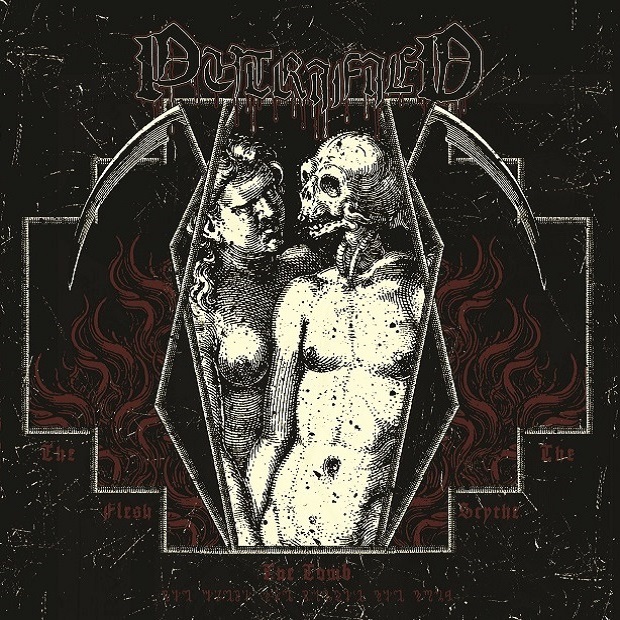 The Swedes of PUTRIFIED are working on a new EP for a future release through UNHOLY PROPHECIES later this year. This will mark PUTRIFIED’s first EP as a full lineup band. The band has now confirmed the title of the EP and some additional details of it. Title of the EP is: “The Flesh. The Scythe. The Tomb.” On side A of the EP there will be two exclusive new studio songs. On side B you will find two shorter instrumentals interludes and two cover songs – “Devils Whorehouse” (MISFITS) and “Morbid Tales” (CELTIC FROST). This EP will be limited to 300 units. The band will once again record in their own studio and utilize the services of Oskar Solvik of Endarker Studio for mix and mastering duties as proved successful with the “Sacrilegious Purification” minialbum. Cover art was done by Brianvdp.